Digital Publication Software for HTML5 is the best solution for designers, who want to bring new level for their magazine, publication, catalogue in PDF format. Digital Publication Software for HTML5 is the best solution for designers, who want to bring new level for their magazine, publication, catalogue in PDF format. The purpose of Digital Publication Software for HTML5 is to help you convert PDF documents into page flip books in minutes. What you can benefit from Digital Publication Software for HTML5? Firstly, it can make an interactive book with page flip effect, to catch people attention and obtain more readers easily. 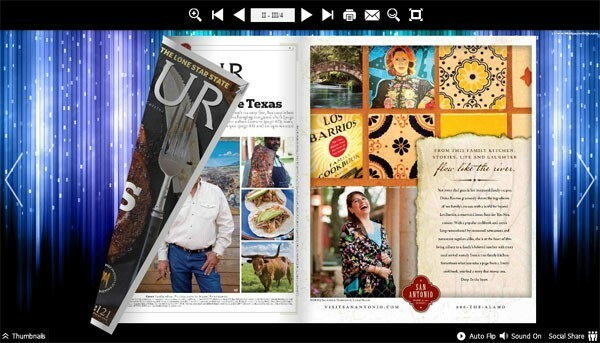 Secondly, convert static PDF to flipbook, so bring a new life to your magazine. It can easy to give the best first impression for people who read your book. Finally, the book made from Digital Publication Software for HTML5, is supported for Mobile device view, no matter iPad/iPhone/Android. If you are the new to use Digital Publication Software for HTML5, you can not need to worry that it is not require any flash skill. All it just takes you three steps: Import PDF, design and convert. And with this page flip software, you will have many templates and pre-designed themes to choose. Every template has different style, standard, simple, wonderful etc. You can choose one of the templates as you need. The most amazing is, this powerful software have the feature of BookCase and Online service. You can upload the designed book to online with Online service and share the book link to social network. You can custom the bookcase and upload it online, so that people can not only select book in bookcase, but also read any books in bookcase.